"Just 100km outside of Porto, you'll find the stunning Douro Valley, the oldest demarcated region in the world, that offers breathtaking landscapes." 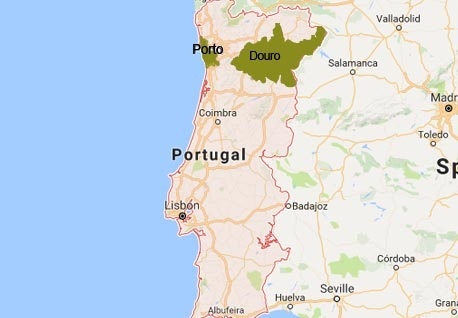 Recognized by UNESCO as World Heritage Site since 2001, the Douro Region is the oldest Wine Demarcated Region in the world, stretching through an area of more than 40.000 hectares. In a 5-day luxury tour you will have the opportunity to visit some of the most famous Douro Wineries and taste the flavors of this fantastic region. 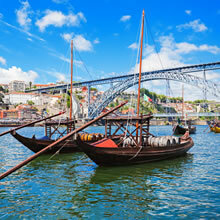 Be inspired in one of the most beautiful wine regions in the world, with the best food, wine and a Douro River Cruise. Welcome to Portugal. Wine Tourism in Portugal will invite you to discover the amazing Douro Valley. After airport formalities (Porto Airport), you will be collected outside customs, and transferred, by Deluxe vehicle with English speaking Chauffeur to the Vintage House Hotel. The The Vintage House Douro is located in Pinhão, in the middle of the Douro Region, classified as World Heritage and the first demarcated wine region of the world. Adapted from an old winery, the The Vintage House Douro is a five star, with a sophisticated but comfortable decoration, typical of the traditional farms of the Douro. The guests of the The Vintage House Douro have access to a pleasant garden, outdoor swimming pool and a tennis court, and can observe the navigate along the river by Rabelo boats, having as background the beautiful vineyard landscape. Enjoy the facilities of the Hotel. In the afternoon, the Chauffeur is waiting for you in the lobby of the Hotel. 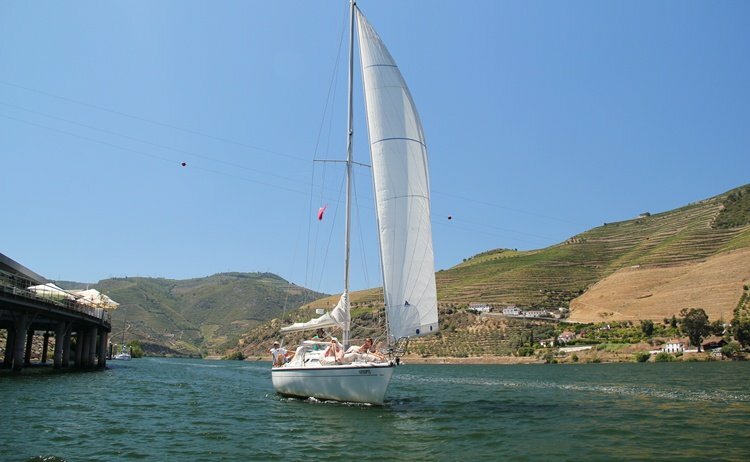 You will have a private Douro River Cruise in a sail Boat. Douro-à-Vela offers you a new way of discovering Douro, a region of heritage, landscapes and wines that are unique in the world. Aboard the sailing ship Libertu's live moments of intimacy with the nature while you travel with emotion along the history until the times when the rabelos boats moved by the force of the sails. Feel like a true sailor, an integral part of the vessel in a unique environment. Libertu's is a 10, 5 meters (34 ft.) Dehler sailing ship with a 14 meters (45 ft.) mast and with a maximum capacity for 12 people and is luxuriously equipped with 2 rooms, lounge area, kitchen and WC. Be amazed by the scenarios that Douro has to offer on a two-hour cruise. Dinner is waiting for you at DOC Restaurant. A Chef's Rui Paula great restaurante (Michelin Star Chef), with modern and creative gastronomy, with Douro flavours. It’s a place of enormous beauty, blending the grandeur of the vineyard covered mountains and the serenity of the Douro river and the riverside villages, only awakened by the regular passage of the train. DOC serves as a window on this breathtaking scenery, making every meal a unique and special moment. 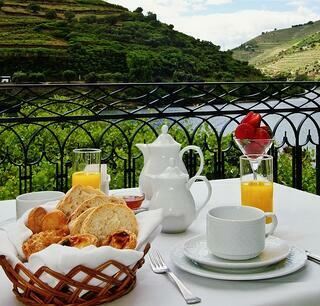 Wake up to the beautiful Douro landscape and recharge your batteries with a fantastic breakfast in the hotel. Meet your private Chauffer in the lobby of the Hotel. Your first visit in the Douro Valley will be at Quinta do Seixo. The wine farm is located in Cima-Corgo, in the heart of the Douro Region, a UNESCO World Heritage Site. Following the Douro River from Régua to Pinhão, you can easily discover this old Quinta of the 17th century and its cellar of contemporary design. The view from Quinta do Seixo is breathtaking throughout the year, in a constant change of colour and light. A magnificent landscape, shaped by man in shale terraces, a surprising contrast with the brightness of the Douro River and the view of the picturesque village of Pinhão nearby. The vineyard, with over 100 years, is a true heritage of many traditional Douro grape varieties that still resist to the most harsh conditions and temperatures, producing unique and top quality wines. You will have a guided visit to Quinta do Seixo with an extended tasting of 5 Porto or Douro wines, included the much awarded Sandeman Vau Vintage. Then, a visit to Quinta do Portal. The Quinta is a Portuguese and independent family company that has embraced with passion the concept of Boutique Winery, and is dedicated to the production of DOC Douro wines, premium quality Port wines and Muscat. The family Mansilha Branco, owner of Quinta do Portal, is a producer of wines in the Douro Region since immemorial times (the first reference we have dates back to 1477) and has always been linked to its key moments, such as the establishment of the General Company for the Agriculture of the Alto Douro Vineyards on the 10th September 1756, which originated the first demarcated region in the world, led by Frei João de Mansilha. 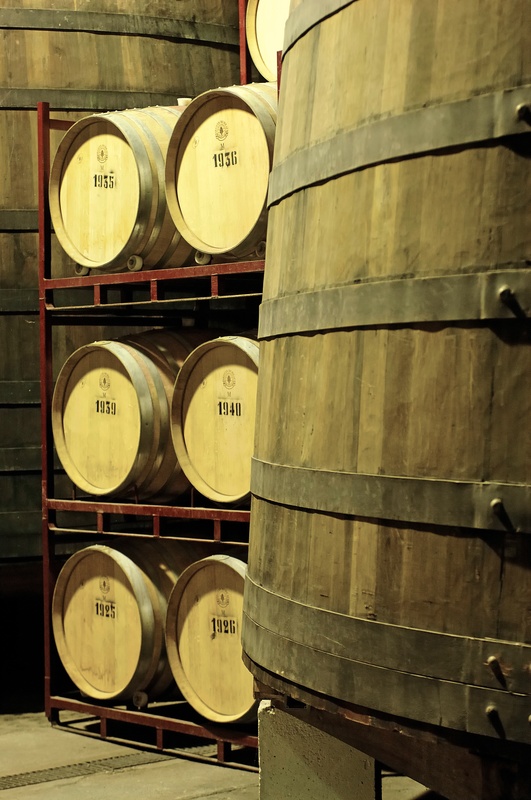 You will have a guided Tour to the Storage Cellars with Tasting of 3 Wines: Portal Fine White, Portal 10 Years, LBV Port wine. Dinner is waiting at Quinta do Portal Restaurant. The restaurant is in a 1996 building, divided into wine bar; a small interpretation centre of the vineyard and harvest labour around a small garden with a granite fountain; a dining room for up 100 people; a private room with capacity for 15 people, a porch where 30 people can be seated; and an outdoor space, ornamented with the typical vegetation, surrounded by the vineyards and olive groves that wrap the property. You have at your disposal a service made and served by a surprisingly young team. The signature cuisine of Chef Milton Ferreira and his team is characterized by the beautifully balanced flavours and textures, the vibrant colours, and the use of fresh high quality products that meet the wines produced by Quinta do Portal, culminating in a meal designed to surprise and satisfy the expectations of its guests. The menus of Chef Milton Ferreira reveal comprehensive conjugations of flavours, together with the regional and local gastronomy, but also the wines from Quinta do Portal that are also used to give food its own identity. Delight yourself with the delicacies that the restaurant the Wine House Hotel has for you, led by the Chef of the Quinta da Pacheca. You will have a Traditional Main Cuisine Workshop. With this activity, you are expected to interact with the Chef participating in the preparation of the chosen option, learning or developing you knowledge through gastronomy. Then you can taste the dishes prepared. After lunch a visit to Quinta da Pacheca Winery. 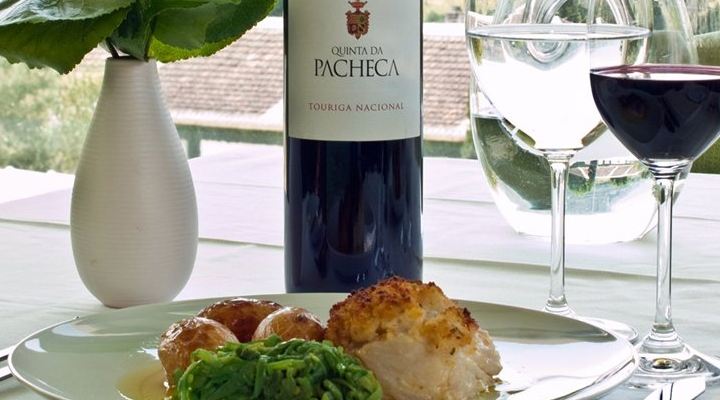 Quinta da Pacheca, one of the most known properties of the Douro, stands out for having been the first to bottle wine under its own brand. The first reference to the Quinta is in a document dated of the 17thApril 1738, where it is called "the Pacheca" because its owner was then D. Mariana Pacheco Pereira. But it was only in 1903 that D. José Freire de Serpa Pimentel decided to develop his growing interest in oenology, acquiring the property in order to devote himself to the wine production. You will have a guided visit to Quinta da Pacheca Vineyards and cellar with a taste of 2 Douro wines and 2 Port. After the wine experiences it's time to enjoy a unique Chef's Table experience. A very personal journey of food and wine. An open cooking station is complete with a wood-fired oven for bread baking and a Josper Grill. Join a small group at a 10 courses meal that is prepared and hosted by the Chef, right before your eyes. Follow the process and complete the experience with selected accompanying wines. This is the greatest gastronomic option at the Six Senses Douro Valley that is celebrating the region. Breakfast in the hotel followed by Check-out. The Chauffeur is waiting for you at the lobby of the hotel. The visit to Quinta Nova Nossa Senhora do Carmo is one of the Highlights of this Tour. "One of the nine must-see wineries in the world", distinguished by the American Airlines. Precisely 250 years ago, the traditional winery Quinta Nova, owned by the Amorim Group, was harvesting their first grapes. This is, undoubtedly, one of the oldest wineries in the Douro region, producing Port wine for the estate and for many other plots of farmers and neighbouring estates, given its large size. You will visit in detail all production of wines, the vineyard, the winery of 1764, the underground wine cellar and end your visit with a tasting of 3 Reserve wines in the store: Quinta Nova Reserve White and Red and 1 Grand Reserve. For lunch, indulge yourself with the delicacies that Conceitus Winery Restaurant has to offer you. The menu appeals to the senses and emotions, in a relaxed and curious way. The proposals are different every day and guests never know the menu, letting themselves be guided by the inspiration of Chef José Pinto. "No words to describe the Tour. The Wine Tourism in Portugal service is very professional. 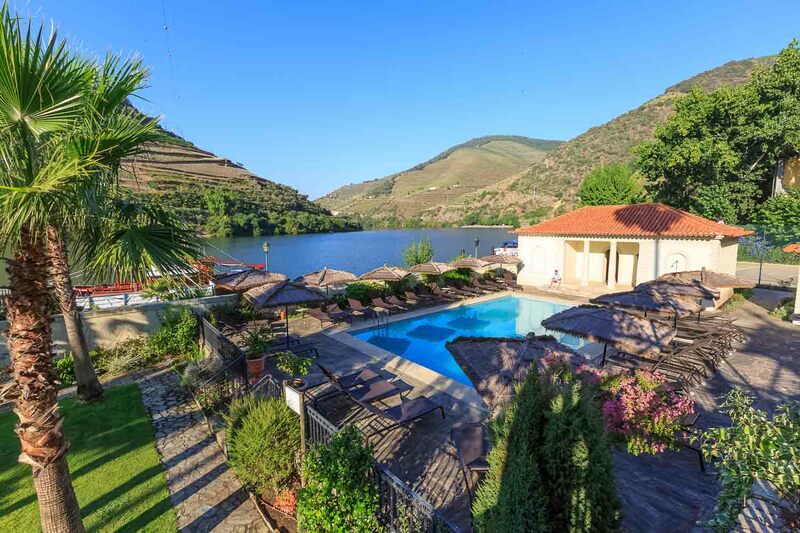 The cruise in the Douro River, Quinta Nova, the Chef's Table experience and the view from the Hotel are something to remember "
"I highly recommend the Tour the food and the Wines!"